After you have been living in a place for a while it can begin to feel stuffy and dirty. It can feel like it needs a face lift or a remodel to make it feel good again. Before you start spending hundreds and even thousands of dollars to make your home feel good here is a simple and inexpensive way to improve your home. 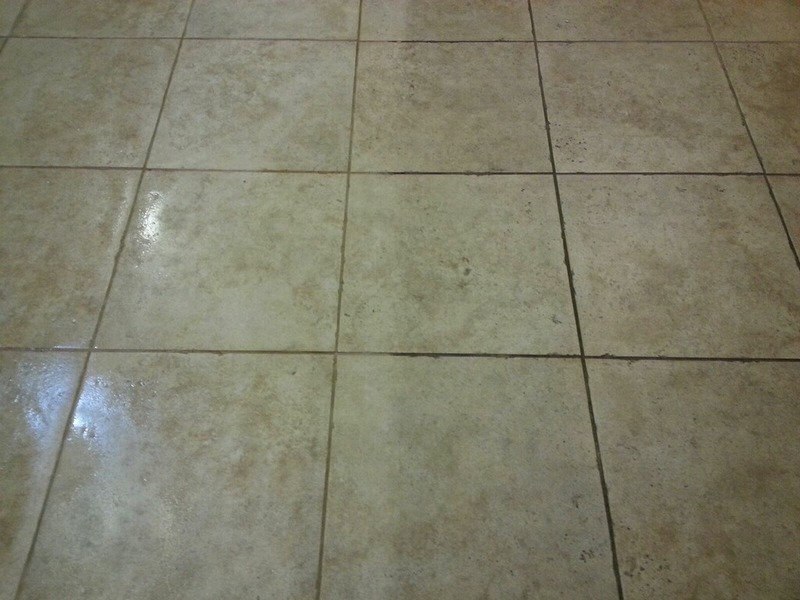 Many look at their tile and grout San Antonio and see how dirty it has become. Maybe they have tried cleaning it by hand and it improved slightly but not enough. Your kitchen just doesn’t look and feel as good as it used to when you first moved. How did it become so dirty? Well, because they no longer like the look of their tile & grout people decide they want to replace it with new tile and grout. Tile and grout can run you a few hundred dollars depending on the size of the area that is covered. Before you tale a big leap and start pricing and picking out tile that you like; why don’t you call Beyer Carpet Cleaning to try and clean that dirty tile & grout. 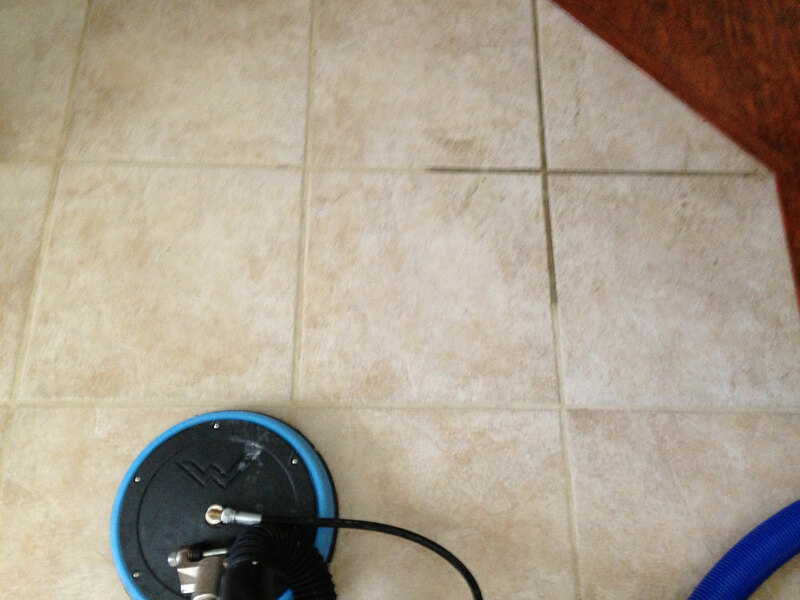 The average rate for tile and grout cleaning in San Antonio can run anyway where from $0.60 per square foot and up. However, when you use Beyer Carpet Cleaning they are only charging $0.50 per square foot with their coupon. This is a pretty big savings! 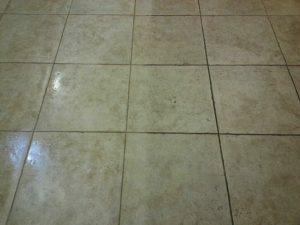 It will cost you a small amount of money to see if they can get your tile and grout looking and feeling better. If they can it will end up saving you hundreds of dollars you would have to pay out to rip up your old tile, purchase new tile, the materials, and labor to have it installed. 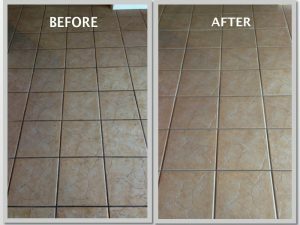 At least if they can’t restore the look of your tile and grout then you would have tired everything and it would be reasonable to go ahead and replace. 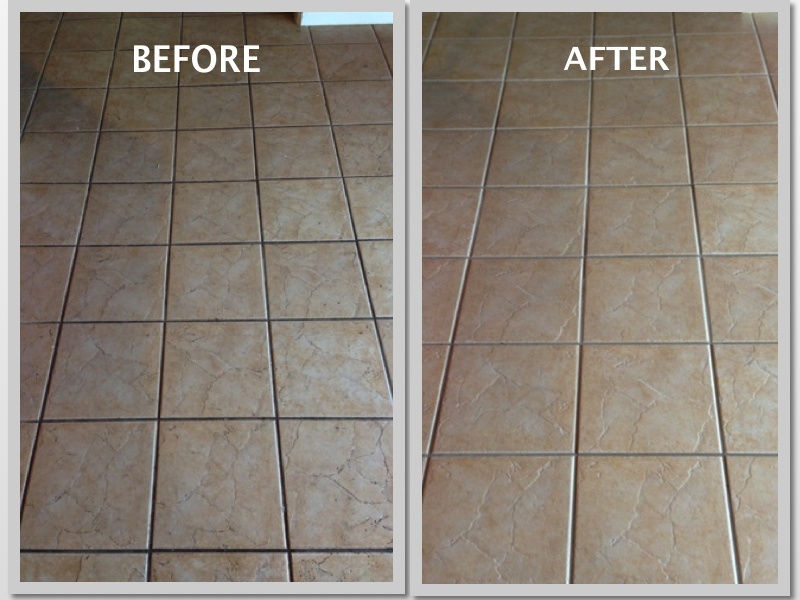 Beyer Carpet Cleaning has a high success rate at restoring tile and grout to its original state. 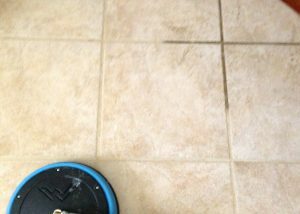 Their tile & grout cleaning consists of putting down a strong alkaline cleaner or acid that is scrubbed in and then a hot steam cleaning to remove the cleaner along with the dirt, grease, and grime that was is in your tile. You will be able to see the improvement right away in most cases. If you have some kind of sealant down then it could be a little harder. If your tile and grout wasn’t perfectly clean before putting sealant over it then there is a chance that the improvement wouldn’t be as great but you would still get results. So before you start shelling out the big bucks to replace your tile why not give Beyer Carpet Cleaning San Antonio a chance to improve the look of it. You may be surprised and be able to save yourself some money. Put that money towards a vacation or treating yourself instead. Call Beyer Carpet Cleaning and take advantage of their great prices!